I’m in a funny place with WoW at the moment. I want to play, in fact I even have a mini list in my head of things I want to do but when I log in I find myself randomly staring into space and doing nothing at all. 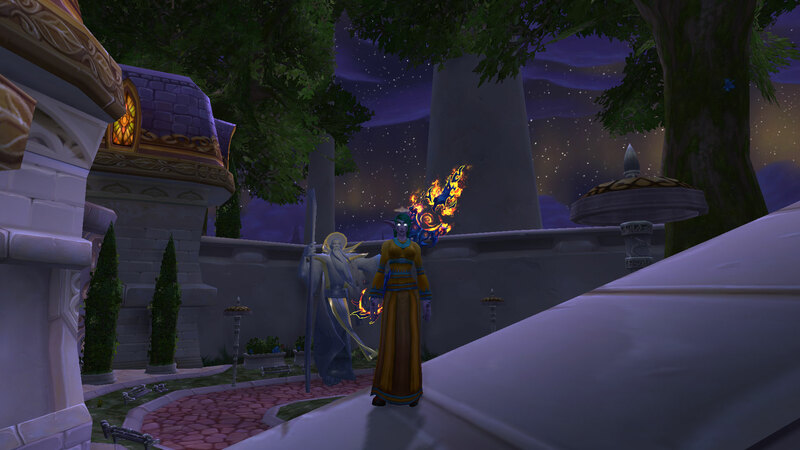 Today for example I logged my Monk and went Timeless Isle. Once there, I rode around aimlessly for a bit, had a go at killing something and discovered I’d completely forgotten my keybinds. 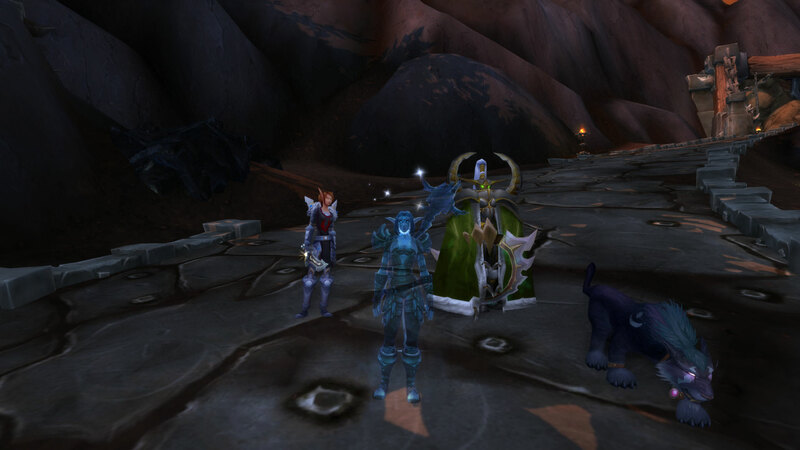 Smarting slightly from my narrow escape, I logged my Priest and attempted to do some archaeology. 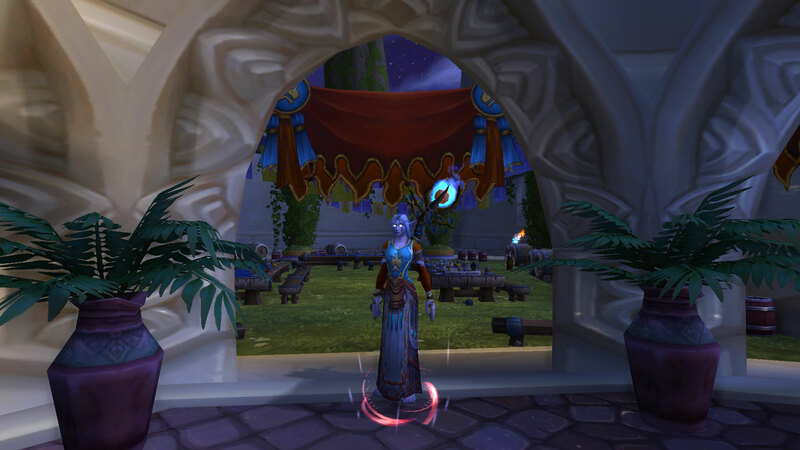 This to be fair, was marginally more successful but now I’m in the “interesting” position of making rares on almost every type and they take too long for my current WoW attention span. 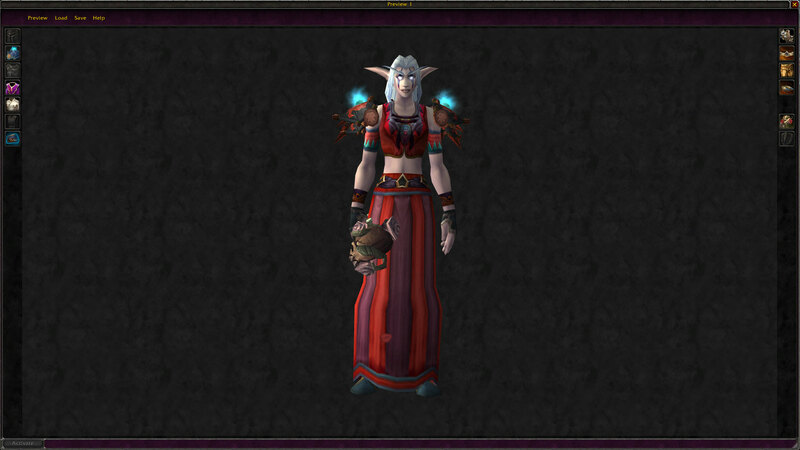 I want to level a Warlock to 90 but questing feels stale. 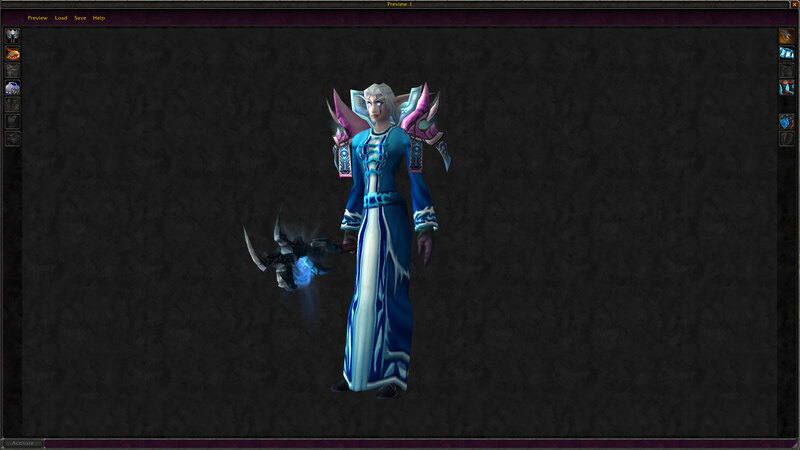 I want to become exalted with 60 reputations on Snowflower. 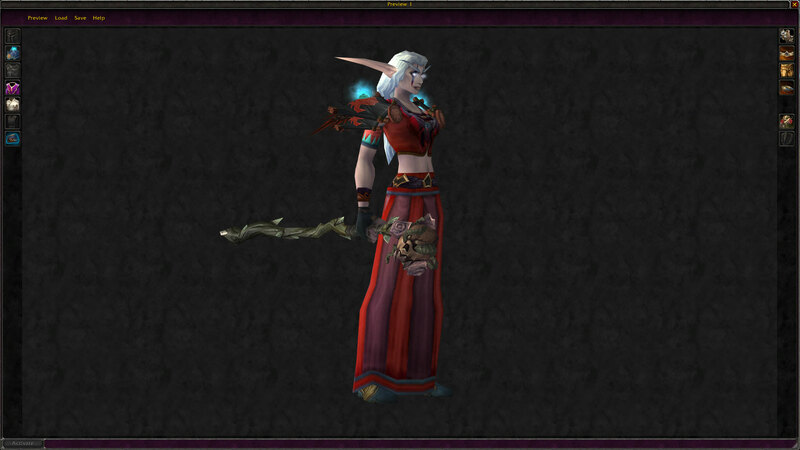 I want to make a Horde character now that our server has been merged and level it to 90 in preparation for the expansion. These are just the tip of the iceberg when it comes to things I want to achieve when it comes WoW and yet I just can’t find the enthusiasm to push myself forward. In some ways I feel I’ve spoilt the current game for myself by dabbling away in the Beta. So rather than sink into self pity, I decided that what I needed was transmogrification to cheer me up. 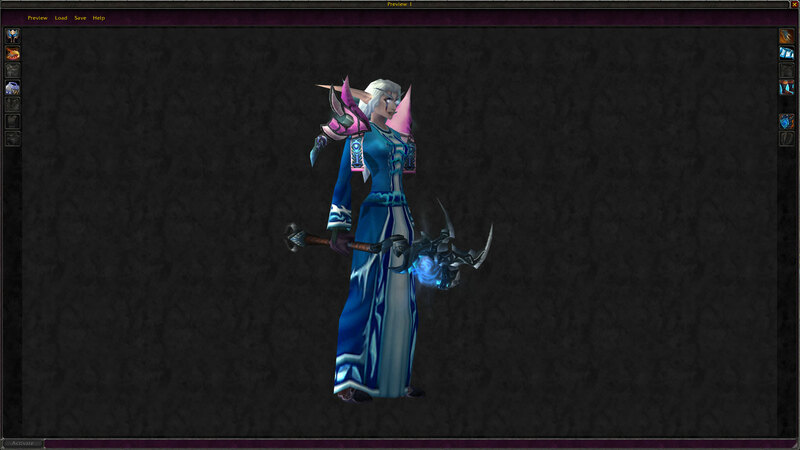 I’ve tried to pick items that require dungeon runs or quest chains that Snowflower hasn’t completed yet like the Chillwind chain in the Plaguelands and of course the Polychromatic Visionwrap since UBRS is being revamped in the expansion. The plan therefore is to attempt to farm these or similar items over the next fortnight and hope at the same time that this re-wakes my enjoyment in the game. So far I’m pleasantly surprised. 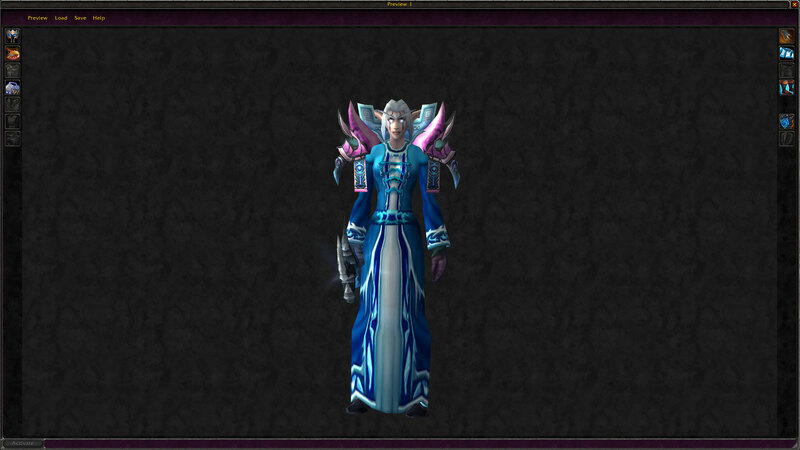 My Nightelf is perhaps a tad too square jawed but I can live with that. 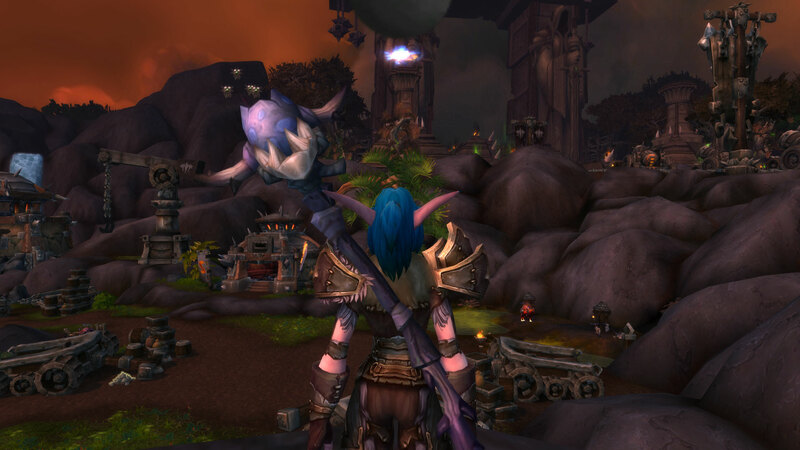 I haven’t tried healing but am currently beating Orcs up on a 90 Druid and am heartily enjoying the experience. Would I want to do it 20 times, probably not but so far it’s been interesting and I’ve met some fascinating people along the way. I rather like the fact that the women did the fighting for once and having a Warden along for the ride… well that’s pretty awesome. 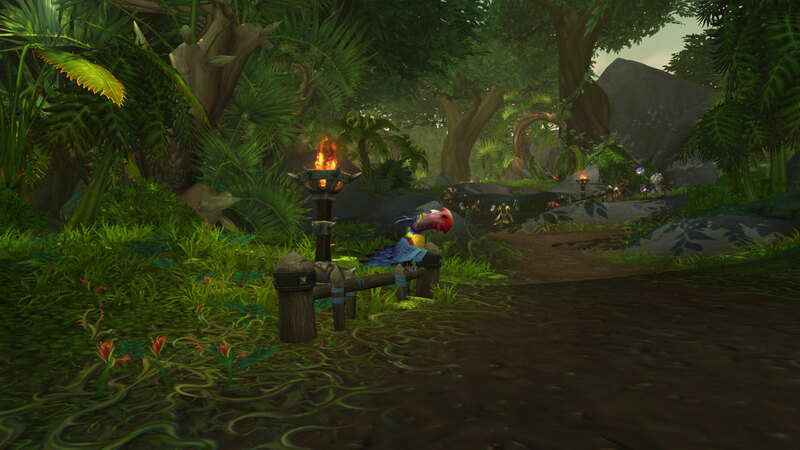 Also blood drinking Toucans are a wonderful touch and everything I’ve seen so far is extremely pretty if slightly gruesome. 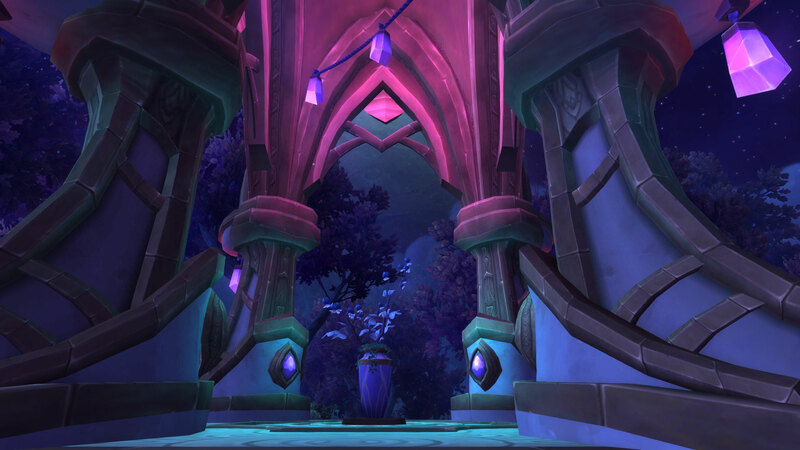 In fact I think Shadowmoon Valley mark 2 might easily become one of my favourite zones in game. 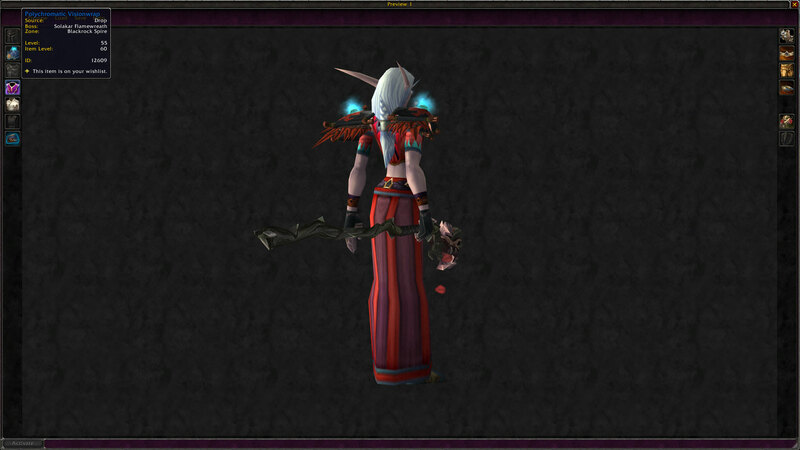 Yep, a staff with a cluster of adorable little bugs flying around it’s end. All in all, I find myself looking forward to the release. Given the beautiful azure blue of the sky today mirrored off the sea, this poem seemed so perfectly appropriate to introduce this month’s entry. 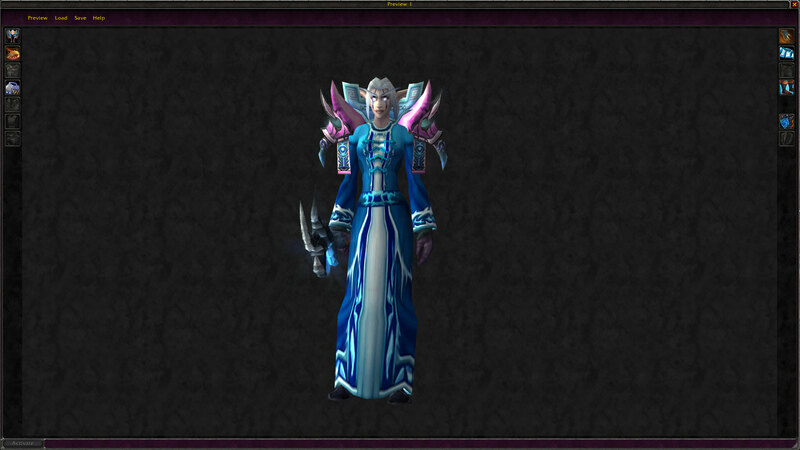 I have a love hate relationship with the Glacial robes. Love in that they are beautiful, elegant and oh so delicate looking but hate the fact that there aren’t any shoulders which match perfectly. Vestia’s Pauldrons of Inner Grace is another item that I’ve always been partial too and so having given the matter some thought and indeed tried multiple other options, I thought “why not….”.